I have a thing for college football stadiums. I don’t know what it is exactly but they feel a little bit like museums to me. Stadiums, like Nebraska’s Memorial Stadium, hold years of history and memories. It’s hard not to get caught up in it all, especially when you think of the games and crowds that have happened within a stadium’s walls. If stadiums are museums, Memorial Stadium added another exhibit after defeating Oregon 35-32. The crowd was loud and on its feet almost entirely from start to finish. I haven’t been around long enough to know what Memorial Stadium felt like in the 1960s, 1970s or 1980s. In fact, most of my memories stem from my time as a student at the University of Nebraska – Lincoln and since as an alum. There was November 28, 2008. Former Nebraska kicker Alex Henery kicked a record-breaking 57-yard goal to give the Huskers a 33-31 lead over the Colorado Buffs. I was in the student section that night. It was loud, people were jumping and I was convinced I’d never see Memorial Stadium shine brighter. Then Ohio State rolled into Lincoln, Nebraska, on Oct. 8, 2011. I was sitting with two friends in my mom’s season ticket seats. The Huskers were down 27-6 in the third quarter and no one thought Nebraska would come back (or at least I didn’t, to be honest). It was cold, it was rainy and most people were ready to leave. That was until the comeback happened. 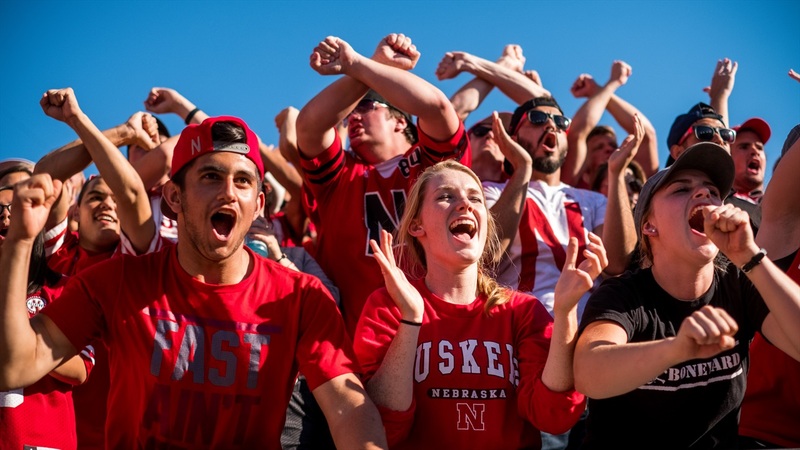 The Huskers found a way to beat the Buckeyes 34-27 and Memorial Stadium roared. There was Wisconsin in 2012 and Michigan State in 2015. Point being, Memorial Stadium isn’t a quiet place. It might feel like it to some on certain days, but look back over time. The stadium has rocked more than it has sat still. I’ve heard stories about games where the crowd was so loud that the glass in the press box shook. I haven’t experienced a game like that yet, but I don’t doubt it. When Memorial Stadium gets going, there’s not much else like it. The crowd didn’t go unnoticed to the Ducks. Oregon fans were not only in awe of the hospitality they were shown but also by the magnitude of Memorial Stadium. Tweet upon tweet confirmed this. Memorial Stadium has been loud before. It will be loud again. But I’m going to mark Sept. 17, 2016 down in my memory. It’s a day that belongs in the walls of Memorial Stadium’s museum. It truly is one after all.